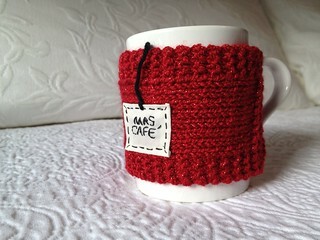 My girlfriend saw the purple coffee mug cover that I made a while back and asked me for a red one. 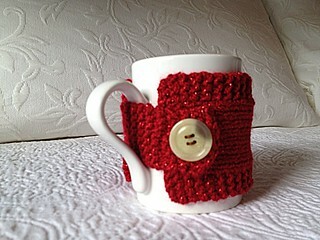 These are so quick and easy to knit up and make great gifts! 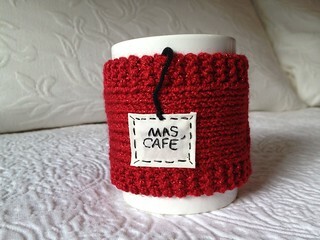 Again, instead of a traditional ‘tea bag’ I added ‘mas cafe’ for my Spanish speaking amiga. » This entry was posted on Saturday, May 18th, 2013 at 8:54 am	and is filed under FO, Free Patterns, Knit. You can follow comments with RSS 2.0 feed.